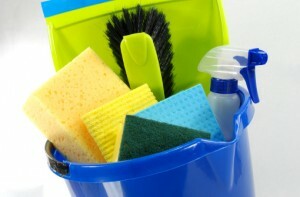 You’ve probably heard of spring cleaning, and maybe you’ve spent some time cleaning, organizing, and de-cluttering your home or car. But, have you ever thought about spring cleaning your career? What about your desk or workspace? Now that spring has arrived, it’s a great time to think about how you can break out the broom and keep your work life free from clutter, too. To help you tidy up, take a look at these helpful posts from our Movin’ On Up archives. The old saying “a cluttered desk is a sign of genius” isn’t always true, and a messy desk can interfere with your productivity at work. Here are some quick hints to help you clear the workplace clutter and boost efficiency at work. Many people take advantage of the beautiful weather to clean their house from top to bottom. Spring cleaning has been a staple in regions that have very strong winters and has become synonymous with general heavy cleaning or organizing. Just like the weather, maybe your job search has been put on ice during the winter months. Now is as good a time as ever to warm up and revitalize your efforts. January 11 was National Clean Off Your Desk Day in the United States. Have you had a good look at your desk lately? What do you see? Do you have piles of papers stacked up, dirty coffee cups lying about, or dust gathering? Believe it or not, that cluttered desk may be costing you hours of wasted time and could add to workplace stress. Have you been using the same reference for years? If so, what better time than now to spring clean your list? Cleaning up your reference list is just as important as updating your resume, so here are some tips to keep in mind when reviewing your reference list. Spring has sprung, and with longer days, more sunshine, and warmer weather, it’s time to shake those winter blues! The best way to start embracing the new season is with some spring cleaning. It’s time to de-clutter, throw away, and organize for a more productive and efficient workday. What are some ways you spring clean your career? Let us know in the comments section below!